The Miami Heat visited the White House last week and to be honored for last season's championship run to the title. 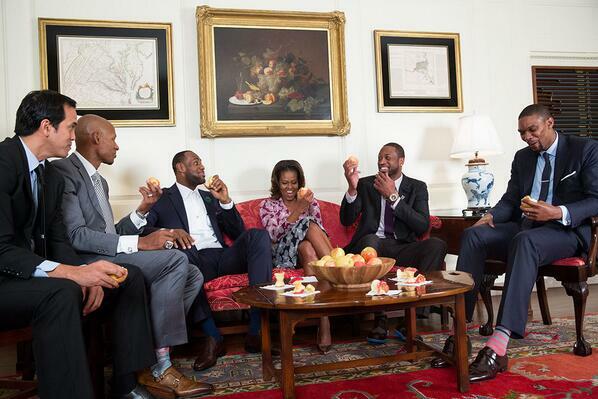 But after the photo op LeBron James, Chris Bosh, Dwayne Wade, Ray Allen, and Heat coach Eric Spoelstra hung around and helped First Lady Michelle Obama film a video for her "Let's Move" campaign, aimed at getting kids to get in shape. Check out the First Lady's Photobombs throughout the video...and of course Chris Bosh.